(Newser) – Nothing in life is free, but Instagram users may not have gotten the memo. In what Mediaite sees as a sort of copycat move based on the Wendy's chicken nugget boy (if you've somehow missed that story, it's here), California-based Sunny Co Clothing on Tuesday issued a call asking Instagram users to repost this photo within 24 hours and tag the company in the repost. Those who did by 5pm EDT Wednesday were told they'd get a code entitling them to a free Pamela Sunny Suit, retail value $64.99. 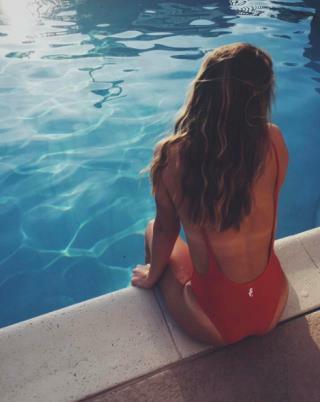 Somewhat predictably, the photo of the back of a girl in the suit is now everywhere, reports Mediaite. If Sunny Co Clothing was hoping for a strictly feel-good story—it did kick off its post with the message "sharing is caring"—it somewhat failed, at least on Twitter, where people went to vent about the photo's proliferation (Time rounds up some particularly funny responses here). So how many free suits are you getting out of this post, Newser?